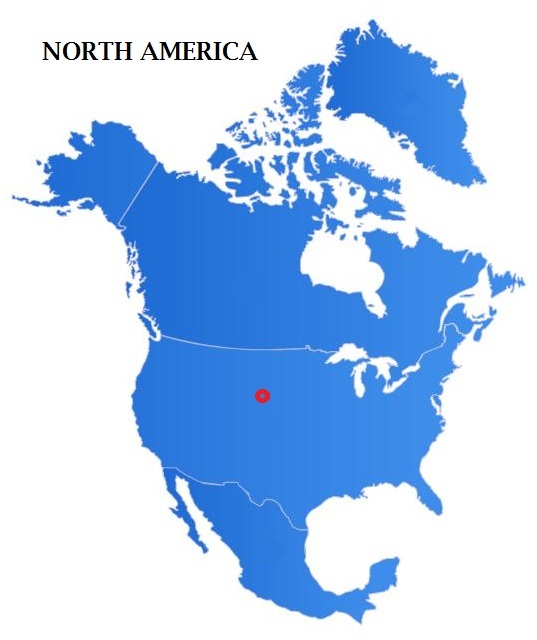 Although not a geographical center, the Pole of Inaccessibility is an interesting location that is defined as a computed point that is furthest from the coastline. In historical times, this location would be the worst place you could be placed if you had to walk to the nearest coast in order to catch a passing ship. 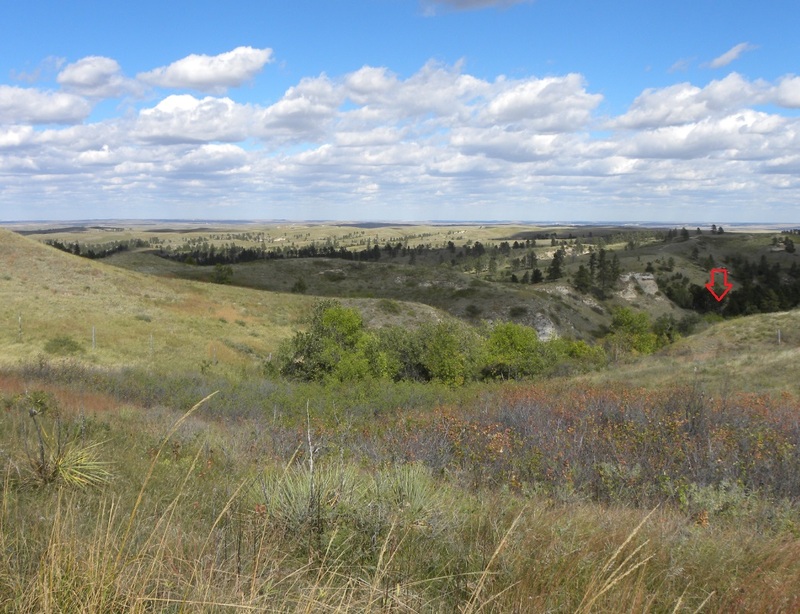 This location considers the straight line distance and does not consider terrain such as having to cross mountains versus prairie. 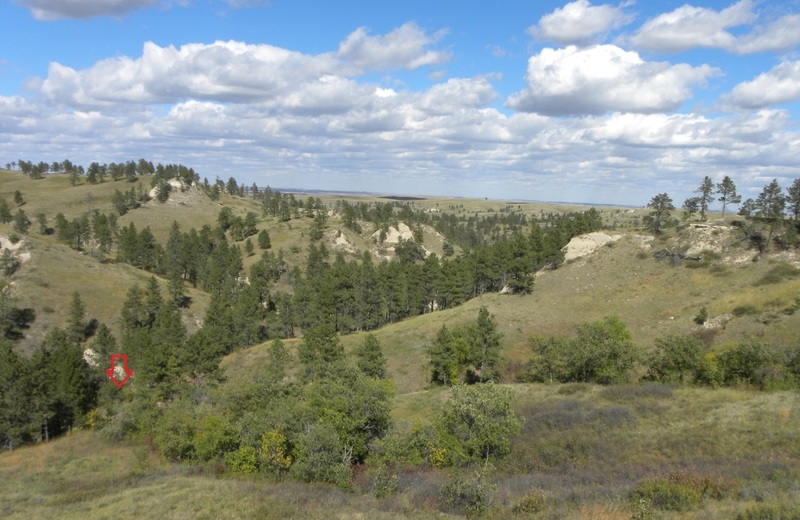 Poles of inaccessibility can be calculated for virtually any land mass. When considering the entire earth, the location furthest from any coast is in the Xinjiang region of China. Similarly, a pole of inaccessibility for water is in the South Pacific and is the location furthest from land. This location is the worst place you could be placed on a raft if you had to float to the nearest island. It is often referred to as "Point Nemo". 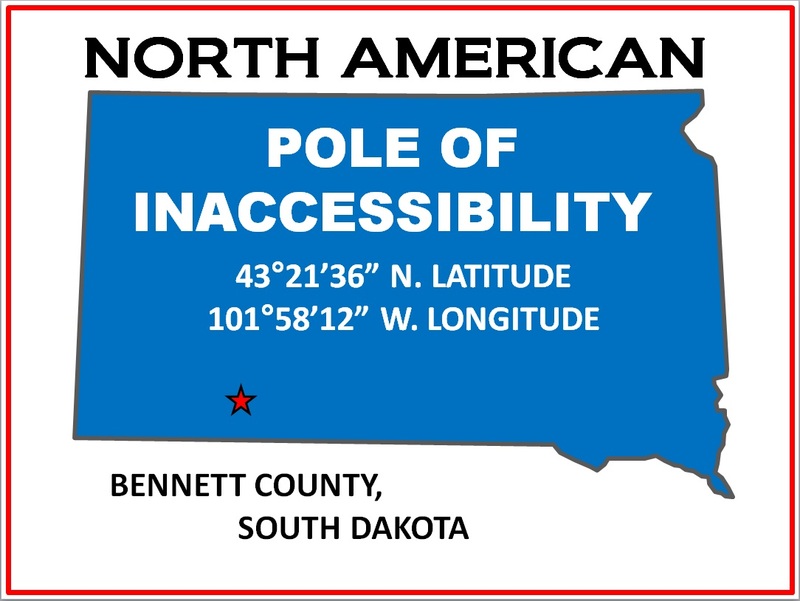 In North America, the pole of inaccessibility has been calculated to be in the southwestern region of South Dakota. 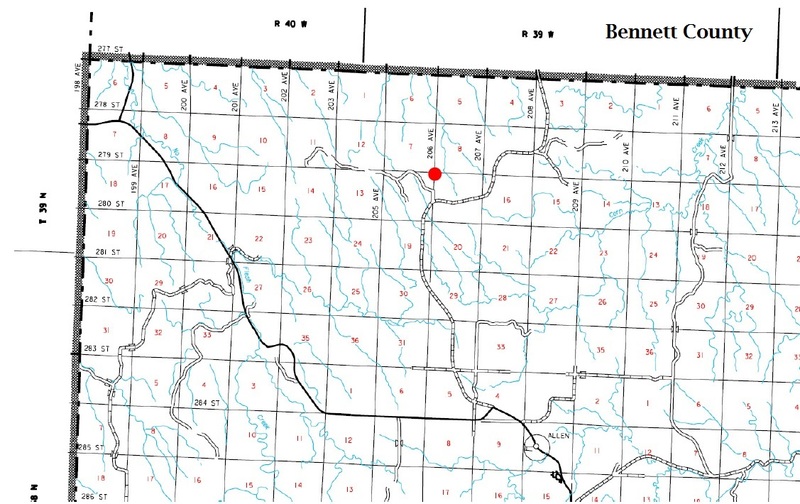 It is located in Bennett County and is approximately 6 miles north of the community of Allen. 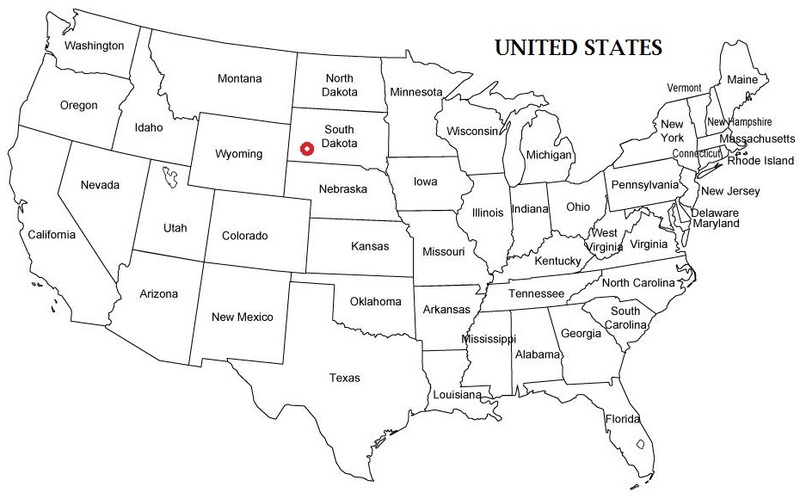 The geographic location is 43�'36"N and 101�'12"W. This location appeared in print in September 2007 in the Scottish Geographical Journal titled Poles of Inaccessibility: A Calculation Algorithm for the Remotest Places on Earth by Daniel Garcia-Castellanos and Umberto Lombardo. 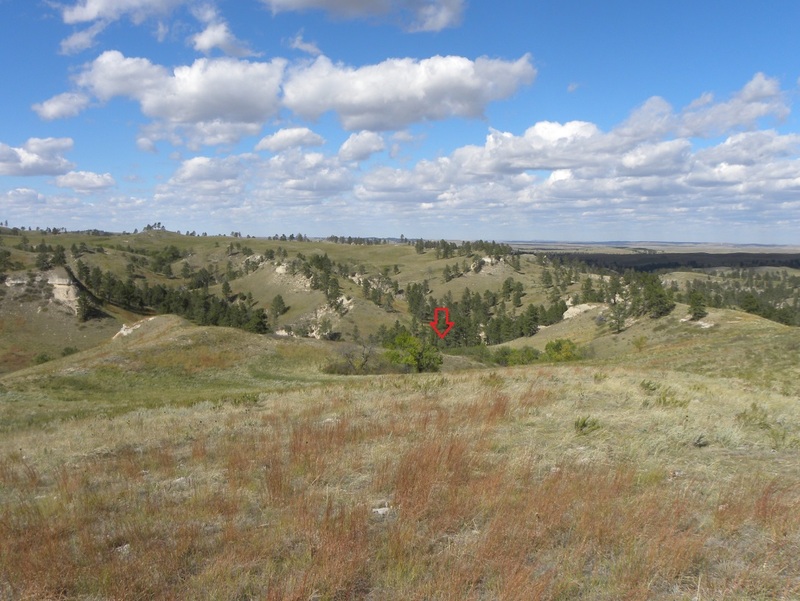 On October 3, 2014, with a handheld GPS receiver and custom-made sign, a hike was made to this location by Jerry Penry, Jenny Stukel Penry, and nearby resident Joey Bear Killer. According to Joey, we were the first ones to ever actually go to this exact location. 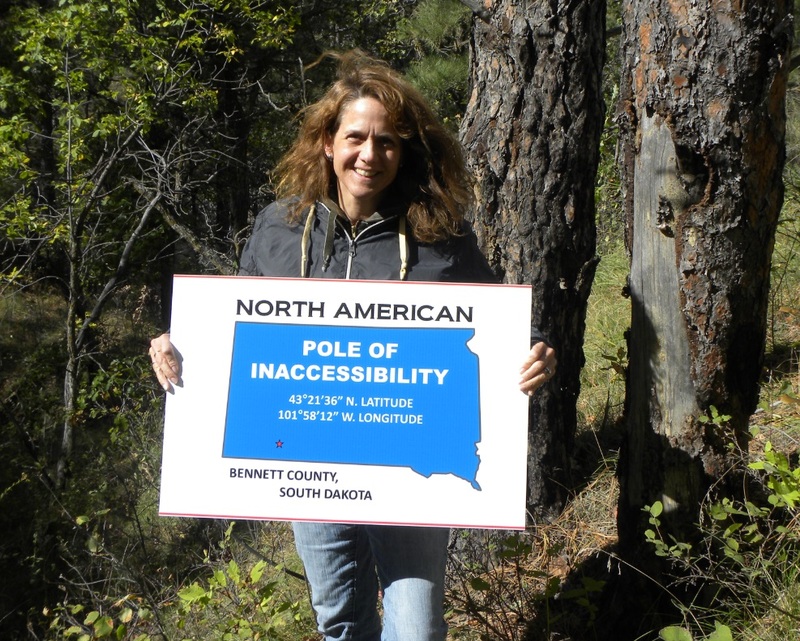 The Pole of Inaccessibility for North America is in a beautiful pine covered ravine on land owned by the Oglala Sioux Tribe. There is nothing there to mark the location and we left nothing. 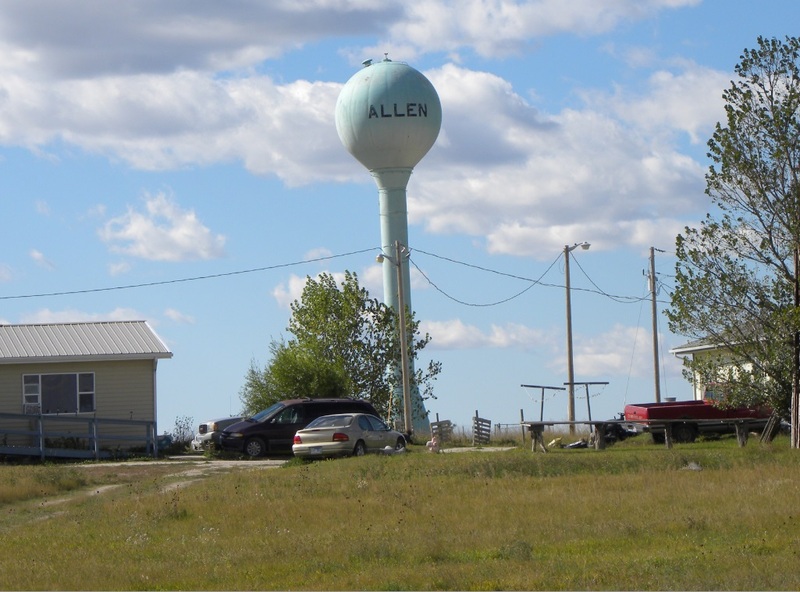 The town of Allen, according to Wikipedia, is the poorest location in the entire United States. We found the local people to be extremely welcoming and friendly. 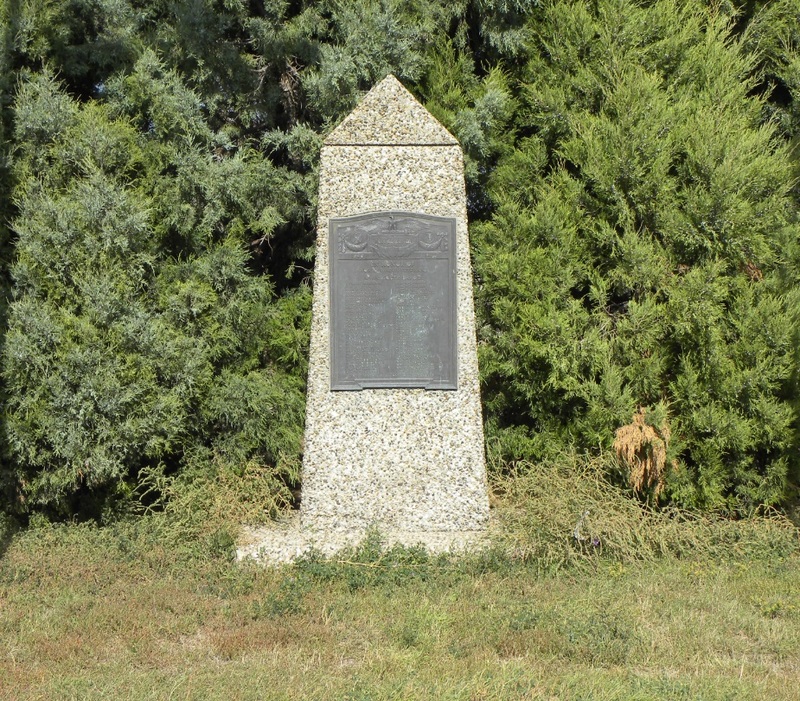 On the eastern side of the town is a stone monument with a bronze plaque bearing the names of 60 local residents who served in World War II. 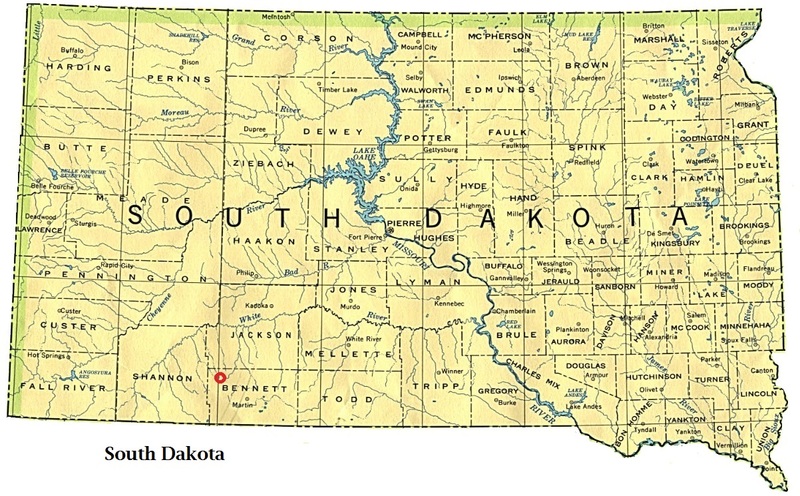 Many of the names are distinctively Native Americans. The location is just south of the NE Corner of Section 18, T39N, R39W of the 6th PM. 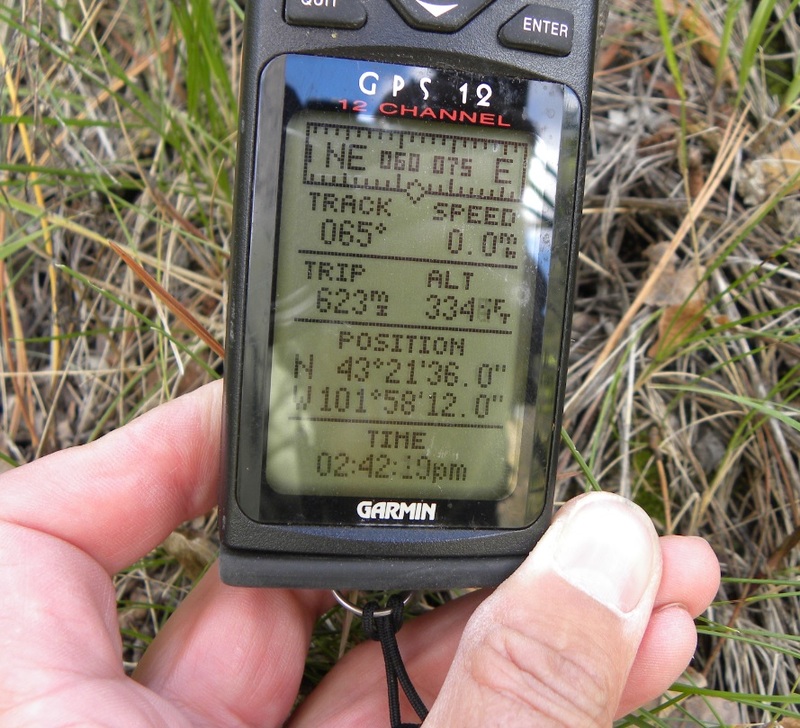 A Garmin 12 handheld GPS receiver shows we had arrived at the right location. 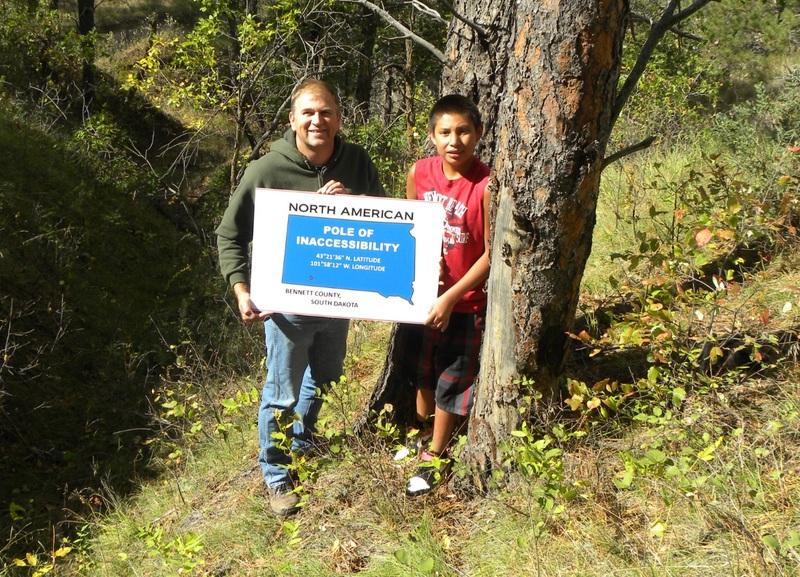 Jerry Penry and Joey Bear Killer at the "Pole of Inaccessibility". Jenny Stukel Penry holds the sign made for the occasion. Approaching the location from the south. Indicated by the arrow. The last ravine where the pole is located. Looking north. The exact location with nothing marking the spot. 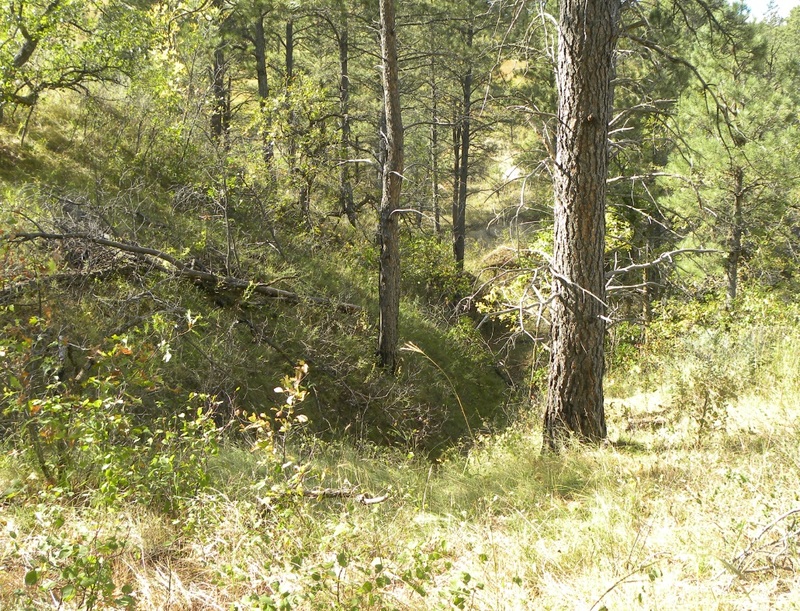 It is in a small ravine surrounded by trees. The water tower at the town of Allen. The WWII memorial in Allen with 60 names of local men who served their country. 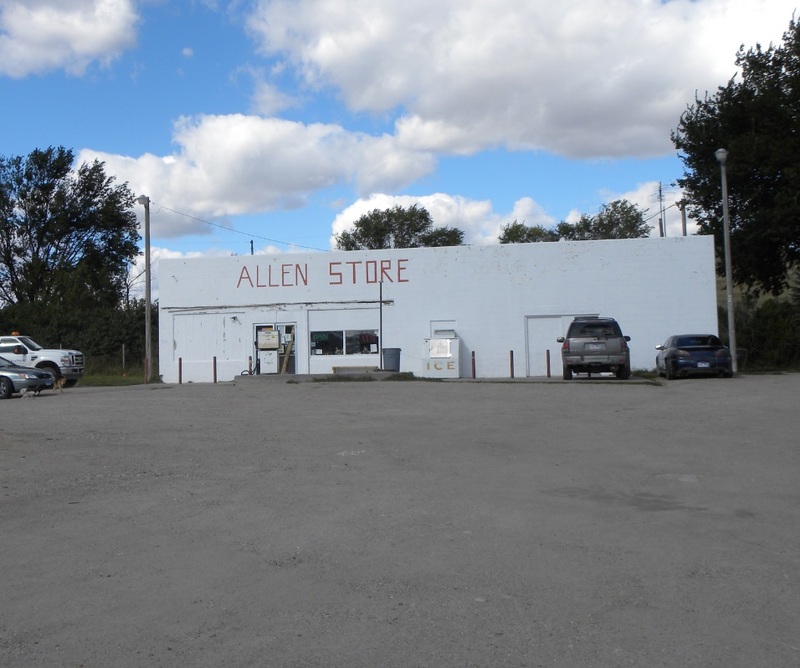 The Allen Store which is one of the few businesses in town. 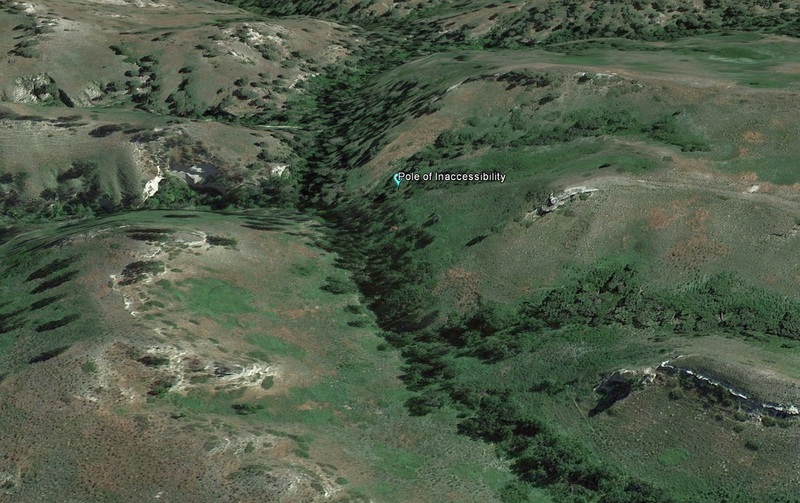 The view from Google Earth of the location looking toward the northeast.